Beans are magical little things and massively underrated. I’m showing them some love by pairing them with exciting Mexican flavours. Baked in a tortilla with veg and cheese until golden on the outside, but oozy on the inside, it’s a real texture extravaganza. 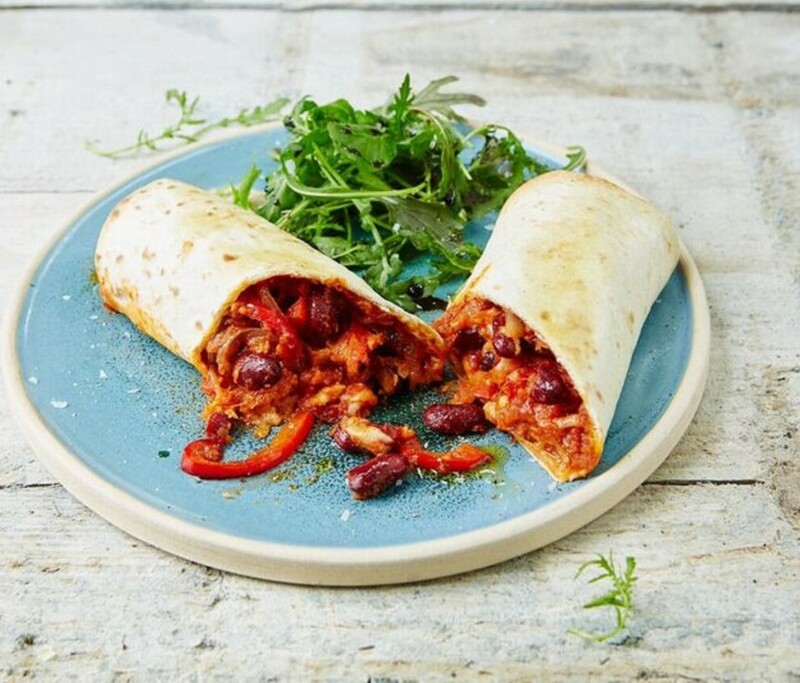 Beans are an amazing veggie source of protein and are packed with fibre, which will keep you nice and full. They also count as one of your 5-a-day, so this recipe clocks up up two of your 5-a-day! Use any leftover beans and tomatoes to make some homemade baked beans – add a pinch of paprika for a smoky kick.